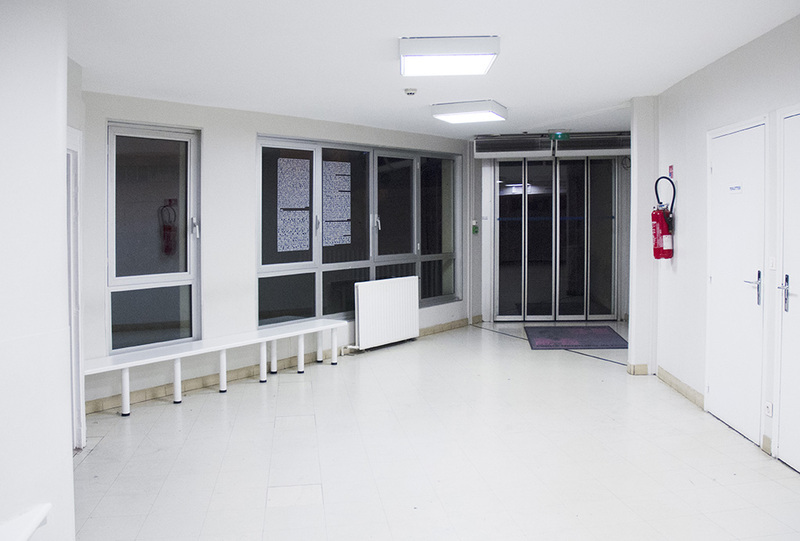 In 2016 I got the opportunity to stay in art residency immersion for several months in the department of emergencies at the Hospital of Lens in France where I observed attentively how people did experience such a place from the point of view of doctors, nurses and patients. 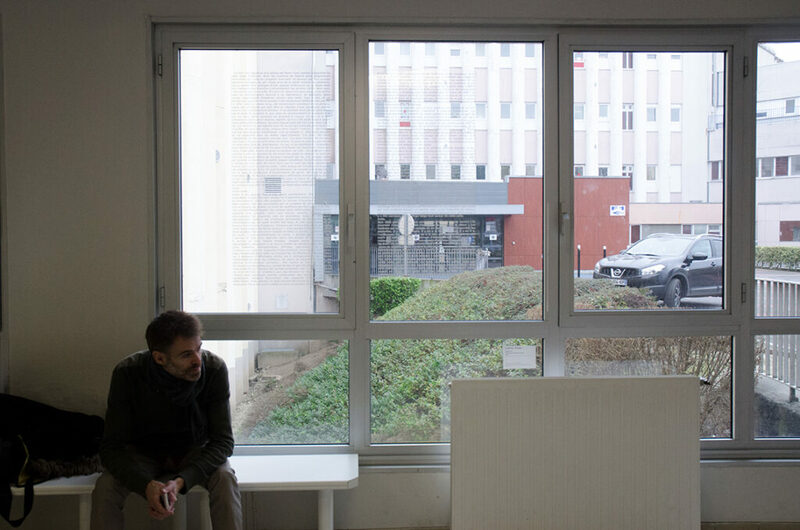 Among the different actions and pieces I made during the residency, I decided to spend the same time in the waiting room as the average time a patient should have wait to meet the doctor. It was about 8 hours. I took nothing to entertain myself during these 8 hours beside a pen and a note book. 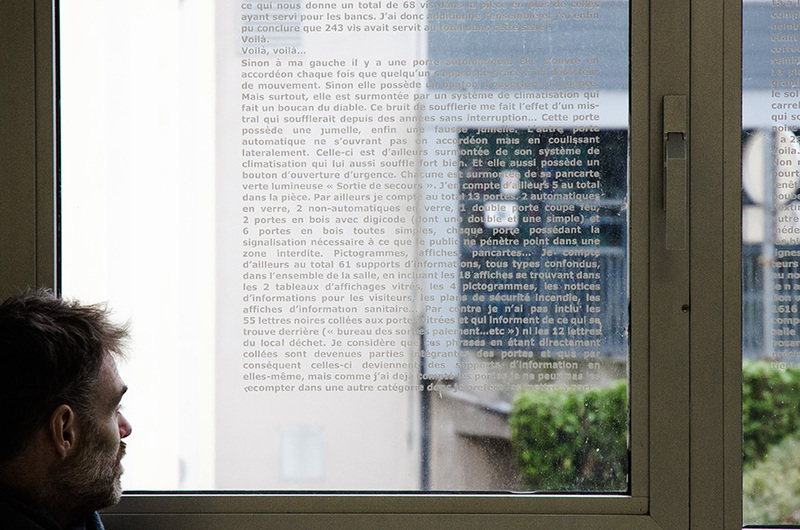 From this experience I created a permanent installation that consists in a text printed on white vinyl displayed on the windows of the waiting room. The text is pretty invisible daytime, with the sunlight from behind. 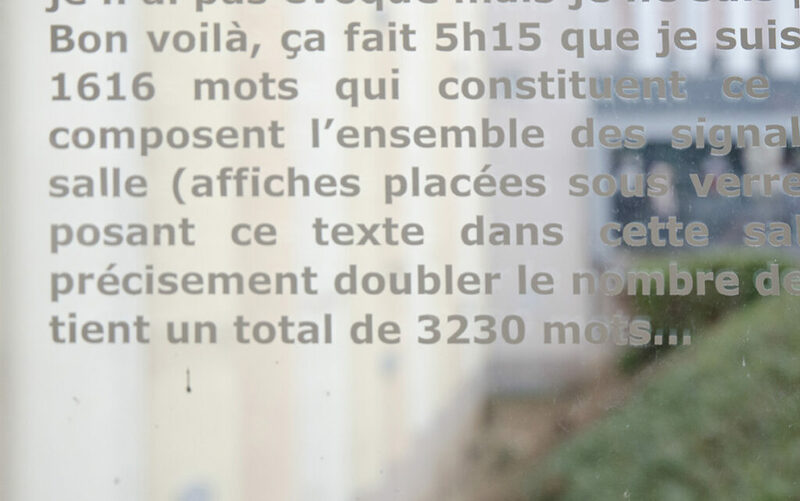 During the night the text is more visible but still fits well the space because of the whiteness of the all space. In the text I describe the waiting room itself, counting the different things, and I reach a level of detail that is obvious I have been observing the place meticulously. The level of detail is so high, and the fact that I counted everything possible makes the text seem like written by a maniac. And I pushed the level of mania to its maximum, because the text itself contains the exact same number of letters as the number of letters you can count on all signs and posters in the entire room.